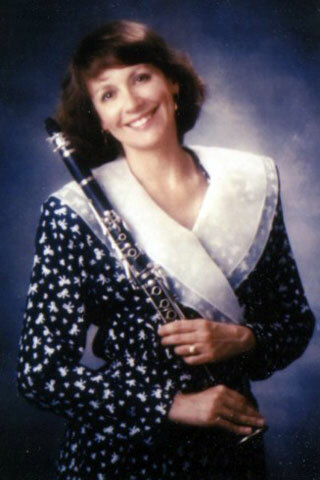 Kathleen Young, clarinetist, made her solo debut at the age of 16 with the Chicago Young Judea Symphony Orchestra. She studied clarinet with Angelo De Caprio and with Clark Brodie and Jerome Stowell of the Chicago Symphony Orchestra. She later studied with Howard Klug at the University of Illinois, where she earned a Masters Degree in Music. Ms. Young has played with the Civic Orchestra of Chicago, the Champaign-Urbana Symphony, Alexandria Symphony and the CPAF Orchestra. She was a member and soloist with the United States Air Force Band for eight years and presently teaches and performs in the Washington, D.C. area. She is principal clarinetist and frequent soloist with the Mount Vernon Orchestra (MVO and in the past has performed works by Weber, Larson, Copland and Danzi. Recent performances include the world premier of “Kaddish for Clarinet and Piano” by Tzi Avni, performed at the Holocaust Museum in Washington, D.C. and a clarinet concerto, “From the World of My Father”, dedicated to her and the MVO by Herman Berlinski..